» Irish Wolfhound vs. Scottish Deerhound: What are the Differences? Irish Wolfhound vs. Scottish Deerhound: What are the Differences? Most really big dog breeds were developed to carry out difficult and demanding physical tasks, for which their size was an asset. 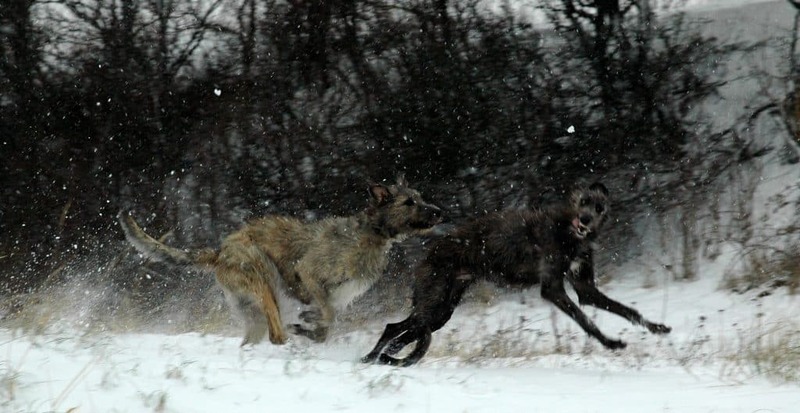 This includes things like hauling heavy loads, serving in protective or military roles and, as is the case for both the Scottish Deerhound and Irish Wolfhound, hunting large prey, such as deer. But while great size gave these and similar breeds impressive strength and the ability to overpower large creatures, the breeders who developed them took steps to ensure the breed also remained very gentle and loving with their humans. This resulted in dogs who were brawny, imposing and deserving of respect, yet perfectly polite when raised as pets. Most of them make great additions for some families, but it is important to select one that will suit your family well. Both Scottish Deerhounds and Irish Wolfhounds fit this description, but it is important to take their considerable differences into account when selecting one for your family. Below, we’ll compare and contrast the Irish Wolfhound vs Scottish Deerhound, to help you choose the best one for your home. Scottish deerhound photo from Wikipedia. Both the Scottish Deerhound and Irish Wolfhound are members of the hound group, along with breeds like the bloodhound, dachshund, greyhound and beagle. But unlike bloodhounds and other breeds which use their sense of smell to track animals that may be miles away, Irish Wolfhounds and Scottish Deerhounds are both sighthounds, who would lock their eyes on prey and chase it down. Both breeds very large dogs and the Irish Wolfhound is actually the tallest dog breed recognized by the AKC. The Scottish breed may stand as high as 32 inches at the shoulder and weigh 110 pounds or more, but the Irish breed stands nearly 3 feet tall at the shoulder and weighs up to 180 pounds. As mentioned above, both Scottish Deerhounds and Irish Wolfhounds were originally developed for hunting large game, but Irish wolfhounds – who are the more massive and muscular of the two breeds – were also used in military contexts. However, they are primarily kept as pets in the modern world. The Irish Wolfhound is considerably more popular among modern families than the Scottish Deerhound is. The AKC classifies the Wolfhound as the 73rd most popular breed, while the Deerhound is the 154th most popular breed. For those who are curious, the AKC currently recognizes 190 breeds in total, which means that the Scottish Deerhound is in the bottom quarter of all breeds in terms of popularity. Because they both descend from similar branches of the canine family tree, Scottish Deerhounds and Irish Wolfhounds have a number of similarities, but they are also very different breeds, who exhibit a number of unique traits and characteristics. For example, both dogs have medium-length hair that is fairly coarse and requires relatively little care aside from regular baths and brushing. Both are somewhat greyhound-like in build, although they are larger and heavier than their fleet-footed cousins. Their personalities are also somewhat similar. For example, the AKC describes the Irish Wolfhound as calm, courageous and dignified, while it describes the Scottish Deerhound as dignified, gentle and polite. 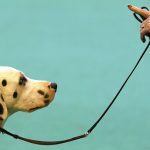 Both breeds are moderately sensitive and usually tolerate being left alone. They are both very affectionate with their families, friendly with strangers and typically get along fantastically with children. Like most other very large breeds, they both have relatively short lifespans. The Irish Wolfhound typically lives only 6 to 8 years, although Scottish Deerhounds occasionally live beyond their eleventh birthday. Both breeds exhibit their share of health problems, but the Irish animal typically suffers more difficulties in this regard. Nevertheless, these breeds do exhibit a number of important differences that are important to consider before adding one to your family. There are obvious size differences between the two breeds, as previously discussed, but they also have a number of personality differences too. For example, Irish Wolfhounds typically get along quite well with other dogs, whereas Scottish Deerhounds are more likely to clash with other canines. Irish Wolfhounds are the more intelligent and easily trained of the two breeds, and they are also less likely to mouth your fingers and hands during play than Scottish Deerhounds are. And while both breeds require plenty of space and an opportunity to run on a regular basis, Scottish Deerhounds are generally more intense and have much higher energy levels than their Irish counterparts do. 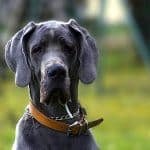 Scottish Deerhounds and Irish Wolfhounds can both make fabulous family pets, but they are both somewhat unusual breeds, who are not suitable for all owners. 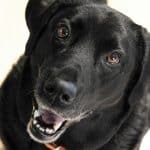 To ensure that you obtain a dog that will fit in well with your family, you’ll want to carefully consider their traits, as well as the differences between the two breeds. Neither of these breeds are good for families living in apartments. They both require large fenced yards and plenty of exercise, and their large bodies will generally wreak havoc in small homes. 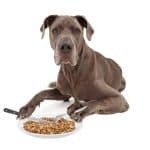 The Irish Wolfhound often becomes quite the couch potato upon reaching maturity, but the Scottish Deerhound will retain more youthful energy into adulthood. Unlike many other breeds, which tend to experience separation anxiety, both of these dogs usually adapt well to families who work long hours. However, the Scottish Deerhound is probably the better choice for such families. But, neither of these breeds make a good guard dog. While their size may intimidate and dissuade burglars, these dogs are unlikely to protect your home the way some other breeds will. 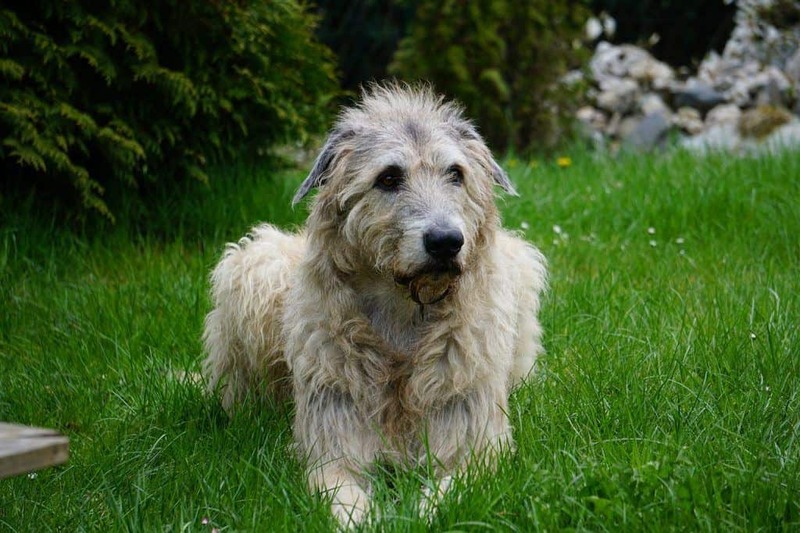 Both breeds will require basic obedience training (like all breeds do), but if you are interested in getting a dog that will learn tricks and entertaining commands, the Irish Wolfhound is the better choice. Not only are Irish Wolfhounds the more intelligent and easily trained of the two breeds, they tend to be more interested in pleasing their owners than Scottish Deerhounds, who are a bit aloof. Like most other large breeds, Scottish Deerhounds and Irish Wolfhounds are both easy to housebreak and they typically learn where to go to the bathroom quickly. This is fortunate given their large size, and the correspondingly large messes they could create. Neither breed characteristically develop destructive chewing habits, but it is still important to provide them with appropriate and durable chew toys. Both dogs are reasonably neat, but the Scottish Deerhound is likely the tidier of the two breeds, as they require less frequent brushing than Irish Wolfhounds do. Unlike Great Danes and many other gigantic breeds, neither of these hounds drool excessively. Taking all of these factors into consideration, you can see that the Irish Wolfhound is probably the better choice for older adults and families who want a dog who bonds strongly with them and have the ability to accommodate such a massive animal. On the other hand, families who are more active and won’t be disappointed by a dog that doesn’t learn tricks very readily will likely be good fits for the Scottish Deerhound. However, homes with other pets – particularly cats or small dogs – may want to use caution when adding a deerhound to the family. 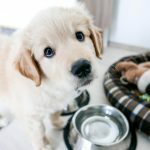 Both of these breeds can make great family pets; you just need to make sure you select the one with the personality and physical traits that will mesh best with your family and home. Are you the owner of either of these two breeds? 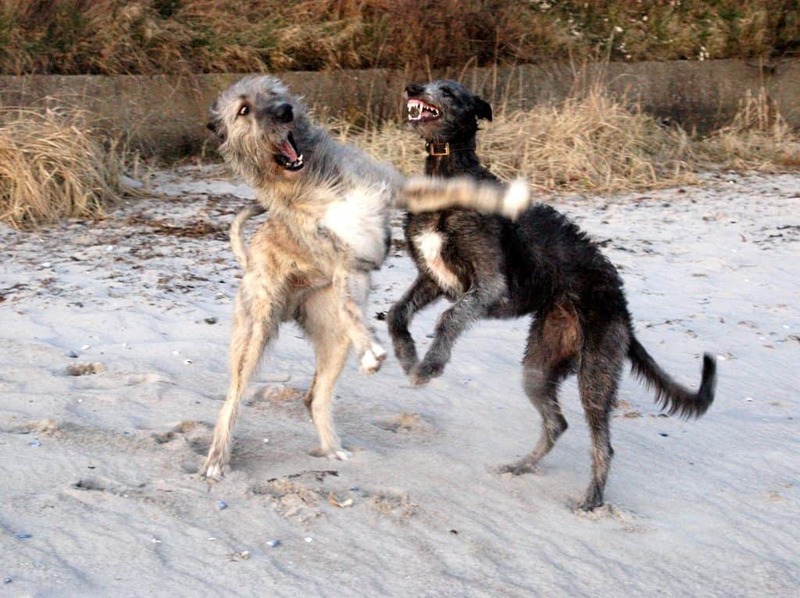 We’d love to hear your thoughts between the Irish Wolfhound vs. Scottish Deerhound. Do you think you selected the best breed for your family? Would you make the same choice again with the benefit of hindsight?